There is currently no information about poker tournaments in Eastern Europe. For a list of countries in Eastern Europe, select a country from the list on the right. Only countries in Eastern Europe with poker rooms are listed. While traveling in Eastern Europe, poker players may begin thinking about how the game of poker seems to be a universal game. Poker is a game that can be played anywhere in the world. The game of poker, no matter what variation, keeps the same basic rules and principals, being just a game of betting played with cards. The principals are as old as man himself and this is why the game of poker has grown to be more popular than ever before. What other game on Earth can and does bring people of all ages, races, sexes with backgrounds of every kind, together at one table to participate in a sport that is as old as time itself? Poker is the only game that comes to mind at the moment. The Russian Federation will be the easiest country to find a poker game in. There are more than a hundred casinos in more than thirty cities in the Russian Federation, most of which offer poker games to their gamblers. With poker quickly turning into the fastest growing International pastime, any city, state, country, continent or planet not ready to provide a venue for the game would be crazy. Hold 'em poker and Stud poker are popular poker game variations enjoyed by poker players in Russia. If you do find yourself visiting Russia on a poker tour, don't miss out on the poker games in Moscow. Of the fifty-four casinos listed in Moscow, all but eight of them list having a poker room. With at least nearly fifty poker game options at any given time, not counting any home poker games there may be, playing poker in Moscow is a MUST DO if you find yourself anywhere near. Russia is not the only hot spot for playing poker in Eastern Europe however. Let's say you find yourself in Budapest, which is in Hungary. Hungary is situated between Austria to the West, which happens to be located in the region of West Europe and Romania to the East. Caribbean Stud Poker is a popular game here, as are other poker games as well. Lithuania is another great country you would not want to miss while in East Europe on your poker tour. Cities such as Vilnius are casino hot spots with plenty of poker playing going on. There are poker-playing opportunities all over Eastern Europe these days. The venues are too numerous to mention them all. If travel and poker are your thing, East Europe would be a great place to get started. Poker playing is more popular today than it ever has been before. Make sure to write up a review of any casino you visit. Submitting reviews of casinos will be rewarded with casino gold points good for redeeming prizes in our store. Check it out, you can win an Ipod or games. You can also visit our Texas Hold'em poker room where you can use the CGP as well. Notice the menu on the left. This menu will lead you to articles on the History of Poker, Ranking Hands in Poker, How to Play Poker and more. 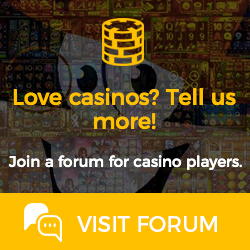 You will also fins a link to our Poker Forum or Poker News. Another item to mention to poker players is our Home Games Forum where poker players can find or organize home poker games. Find a home poker game somewhere in East Europe. If you can't find a home poker game, start your own.